Breastfeeding stories are the best sources of inspiration. Reading a mother's testimonial on how she became more resolved to breastfeed her child despite all the challenges is a wellspring of inspiration for all families who are in the same situation. 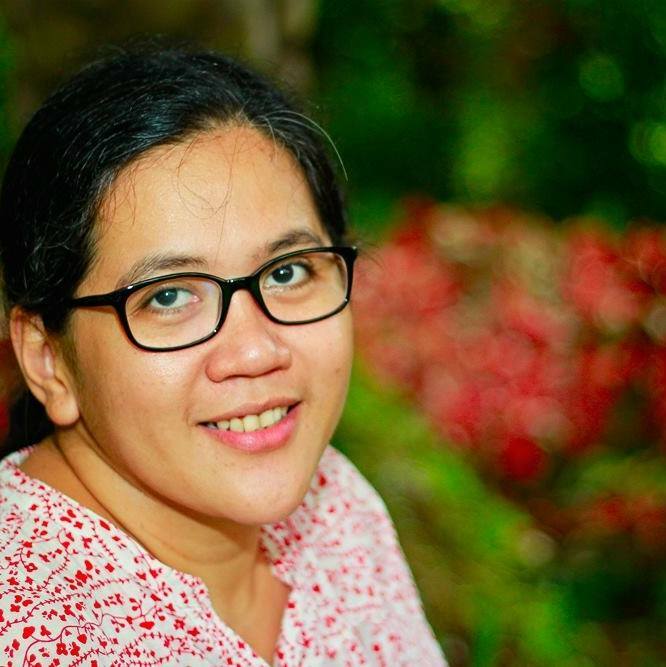 Inspirational author and breastfeeding advocate Mommy Teresa Gumap-as Dumadag's book, BREASTFEEDING: A Journey Worth Taking, is a mother's best companion as she takes on this challenging but very beautiful journey of breastfeeding. There will always be that one powerful breastfeeding story that you can relate to. This fellow mom's story will erase your doubts, fears and inspire you to face all the challenges in breastfeeding your child. World Breastfeeding Week is celebrated every year from August 1–7 and the theme for this year is Breastfeeding: A Winning Goal for Life! Mommy Teresa scheduled this three-day giveaway of her eBook to coincide with the start of World Breastfeeding Week as her way of helping moms all over the world achieve their personal breastfeeding goals. She believes that breastfeeding will enable families, not just moms and babies, to reap a lifetime of health benefits. Don't miss this chance to get a free copy of Mommy Teresa's newly-released eBook BREASTFEEDING: A Journey Worth Taking. You can download the eBook for free on Amazon Kindle from August 1–3, 2014. Amazon Prime members can download BREASTFEEDING: A Journey Worth Taking for free even after the three-day promotion. Regular Amazon.com customers can purchase the eBook for $9.99 after August 3. The paperback edition can be purchased through the book’s Facebook Page or by sending an email to teresa@fulllifecube.com. Like BREASTFEEDING: A Journey Worth Taking on Facebook via https://www.facebook.com/BreastfeedingJourneyWorthTaking. Nanay's Trip turns 3! Writing about breastfeeding on my blog's anniversary is the best way to mark this very special day. Breastfeeding was one of the most important decisions I made in my life. I will be forever grateful for all the blessings that it brought to our family : Rio's good health, priceless bonding moments with my child and this blog. I started Nanay's Trip because I wanted to share my breastfeeding journey and hopefully inspire mothers to experience the joy of giving only the best to their children. I read all my previous breastfeeding posts and I realized it was indeed an awesome journey for me and my family. I am glad that I have chronicled the most significant lessons and memorable moments of my breastfeeding journey here in my blog. My blog entry to Milk Mama Diaries Carnival : EAT Malunggay, SAY "I have milk" and LOVE your baby! Nanay's Trip was at Dr. Jack Newman's lecture in the Philippines last year. Read my story : Close Encounter with a Breastfeeding Rockstar : Breastfeeding Rocks! 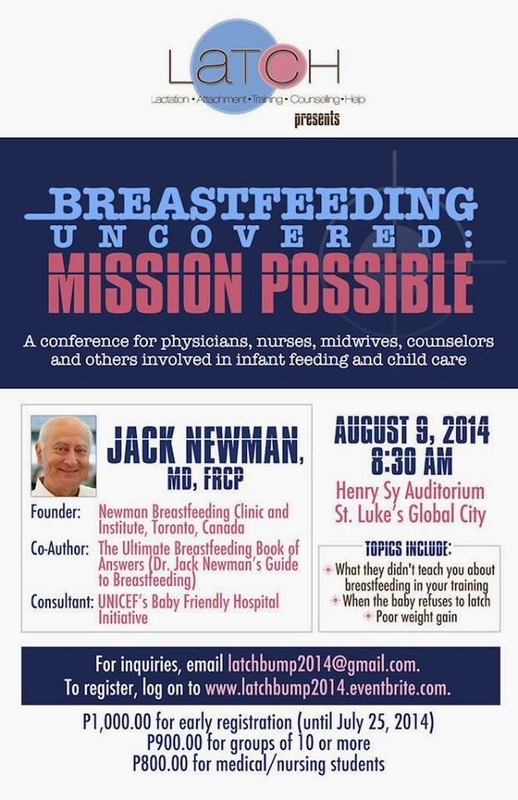 The breastfeeding guru will be here in Manila this August. Try to catch one of his lectures, highly recommended and very helpful! I have stopped breastfeeding Rio but our journey doesn't end here. I hope to continue writing posts and sharing stories that will inspire mothers to take the breastfeeding path with their families. Happy breastfeeding month! Congratulations on your blog's anniversary and thank you very much for sharing about my breastfeeding book, Nadia! Let's continue to inspire our fellow moms in our own unique ways.